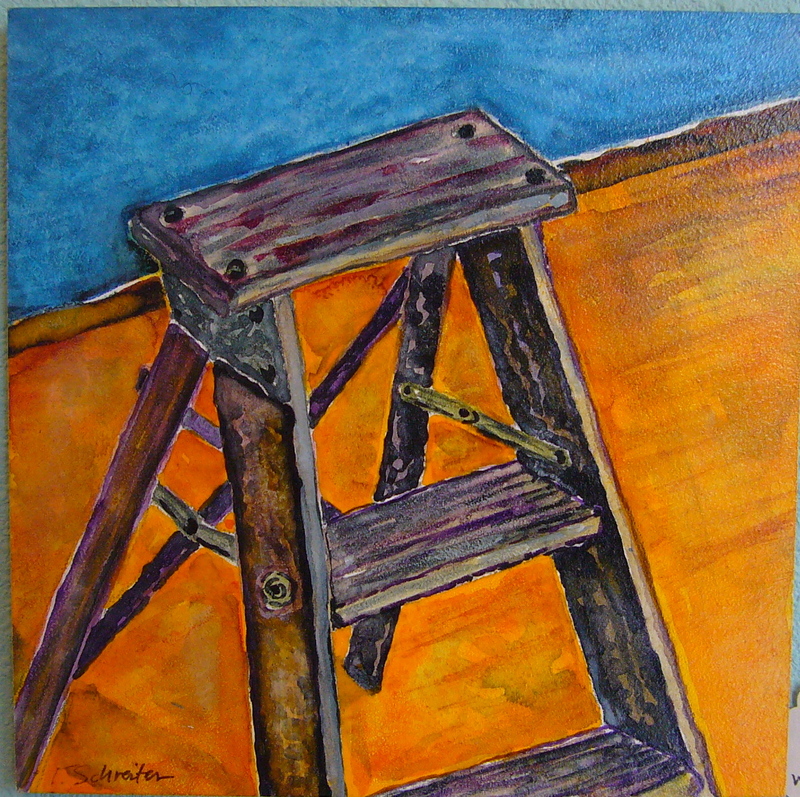 Print of the watercolor "My Favorite Step Ladder" $20. 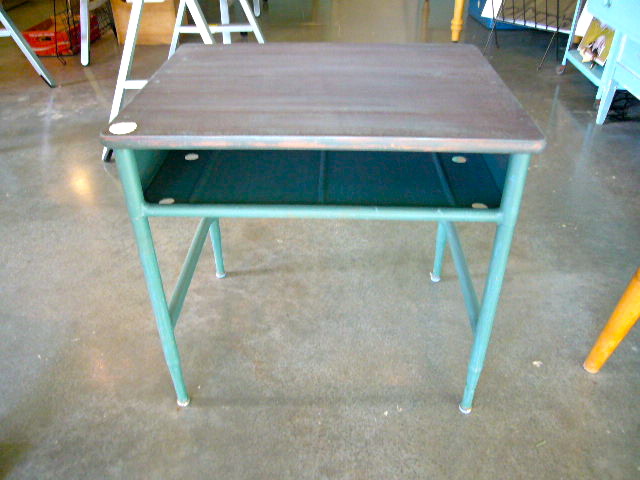 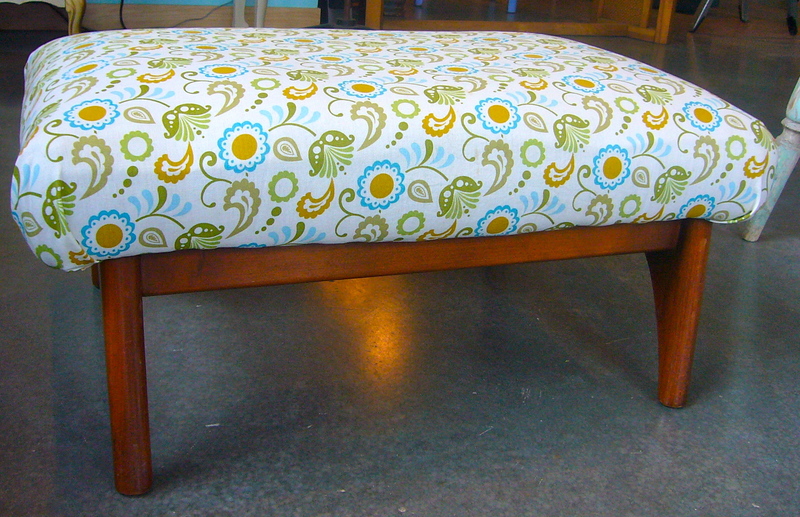 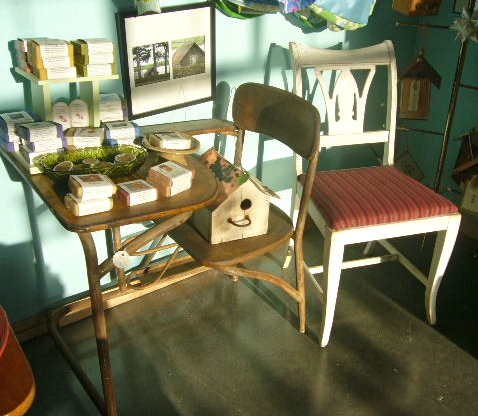 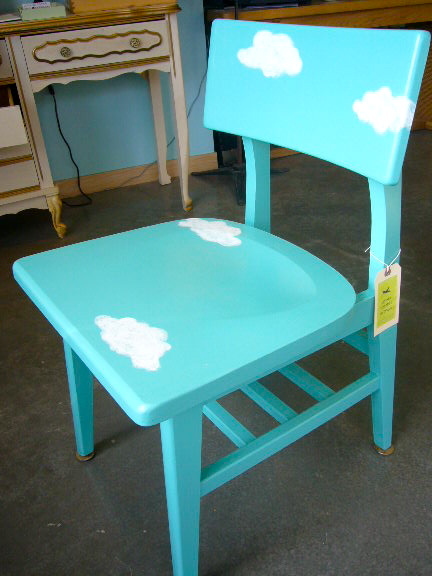 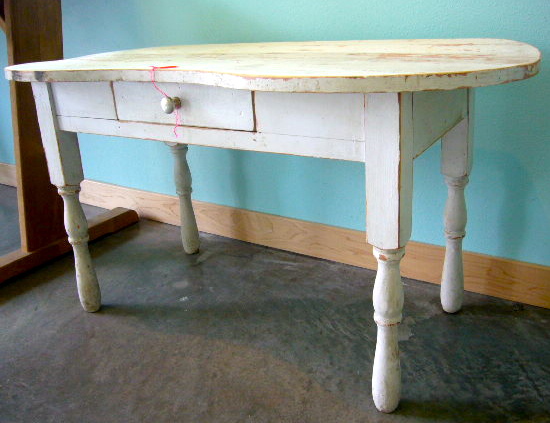 Vintage School desk; $158 and Shabby chic chair, $68. 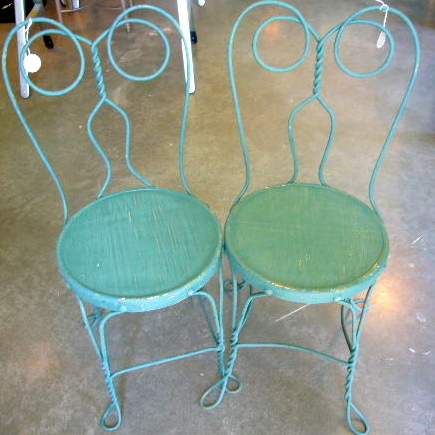 Wrought Iron Parlor Chairs, $98 each. 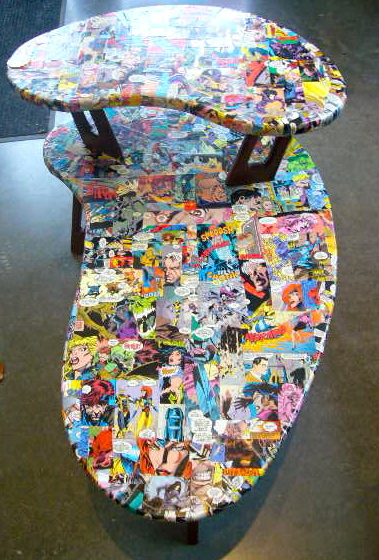 Decoupaged comic book table. 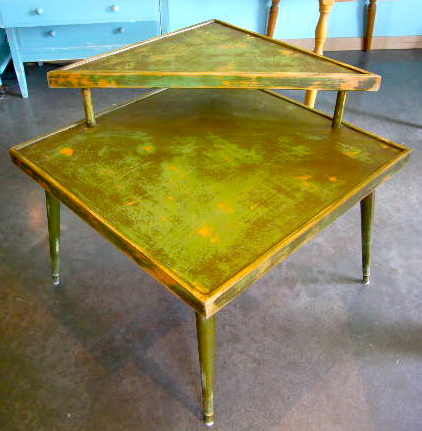 "The League of Justice" $325 Green Cricket Salvage.